There are various recorder ‘sightings’ in film, TV and celebrity photography, one of which I posted yesterday, and more of which I’ll post as time passes. A number of these are very entertaining but unfortunately also tend to reinforce negative stereotyping of the instrument, but there are also few times when something goes right. One of the latter happens in Kenneth Branagh’s film production of Hamlet. I first saw this movie on a snowy weekday afternoon in the dead of winter, a very suitable time for the sad story of the mad prince of Elsinore. The cinema was maybe half full, which was impressive for a weekday afternoon in bad weather, but almost everyone there was either a senior citizen or a high school student. There were several classes of the latter, so it must have been English Class Field Trip Day as well as Seniors Tuesday, and I was one of only a handful of people between the ages of 17 and 60. A very interesting and unusual crowd and atmosphere! As you can see from the link, this particular instrument currently lives in New York’s Metropolitan Museum of Art. It dates from around 1600 and was made by a member of the Bassano family or one of their colleagues, in either Venice or London. The Bassanos were a celebrated of Italian musicians, some of whom were brought to England by Henry VIII to work in his musical household. Members of the family remained in royal employ until the 1630s. But back to the movie. 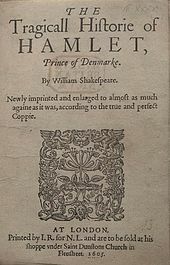 Branagh’s vision for Hamlet obviously didn’t include setting it in Shakespeare’s time or anything earlier, and that’s just fine – the costumes and sets are a sumptuous feast for the eyes, and the cinematography is beautiful. But it did make me wonder what was coming in Act III scene 2. A flutophone, or a Bakelite alto for that ‘old’ effect? A serpent, maybe? 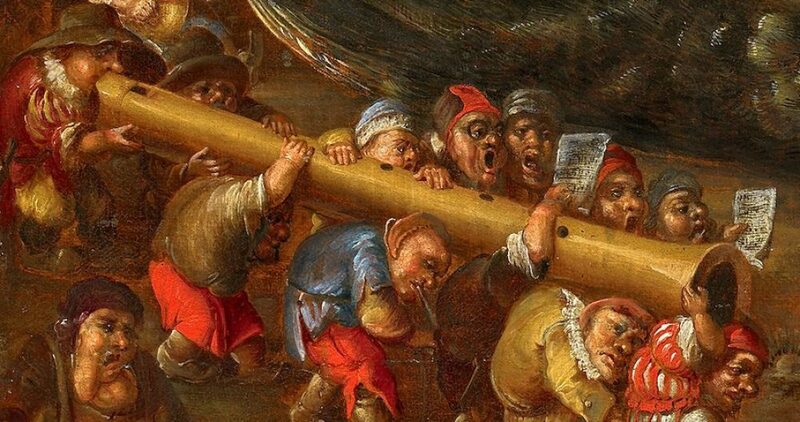 The moment arrived, Branagh uttered the famous cue, and to my complete surprise, he was handed – a Renaissance tenor recorder, looking very much like a copy of the one that’s pictured above! Property master Danny Hunter did his homework and found the appropriate horn, and I was totally impressed. I’m still so impressed that I made sure to look up Danny Hunter’s name before writing this. Granted, a serpent or a clarinet might have been more appropriate in the context of Branagh’s choice of historical setting – and frankly, in the great scheme of things all this doesn’t really matter – but it was exactly the right flute for Shakespeare’s language, and it was so much fun to see that. For comparison, and an example of unfortunate recorder typecasting, here’s the link to an excerpt of another made-for-TV production made by the Royal Shakespeare Company in 2009. It’s a longer clip: the recorder scene begins around 5:30 and if you stick with it, you’ll hear Three Blind Mice (I kid you not) around 6:58. This entry was posted in Sightings (A Gallery) and tagged recorders in film by Alison. Bookmark the permalink.